How is the 'Response Rate' on Outdoorsy Calculated? Learn how the response rate that is displayed on outdoorsy.com is calculated and what affects it. 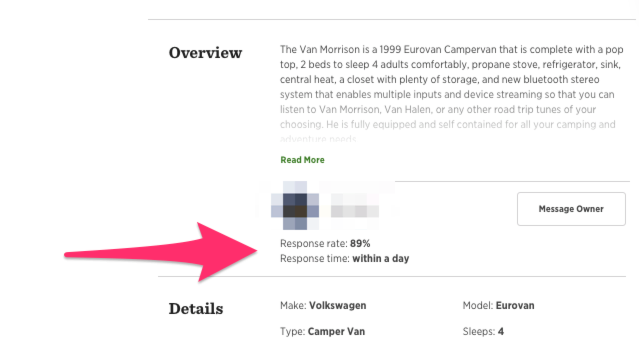 In the listings on Outdoorsy.com, a response rate and response time are displayed, telling renters how likely and how quickly they should expect to receive a reply. So you may wonder, what affects this score? Responding within 24-hours helps your response time score and your search rankings! Take number responded and divide it by total to get the response rate. A "qualifying booking" is any booking for which a renter was the first one to send you a message.